CRAZY DISCOUNT! 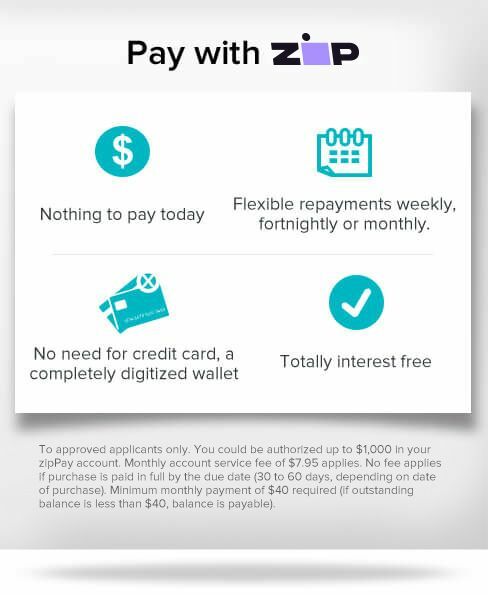 Was: $399.95 Now: $229.97! 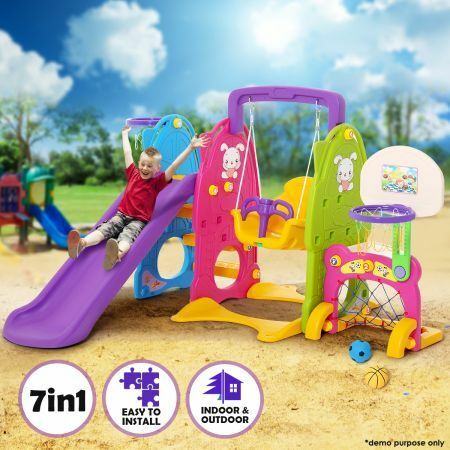 If you’re looking for a great way to keep your kids busy, healthy and active in the outdoors this summer, than you’ll need this Colorful 7-in-1 Playset with Swing & Slide Toys! This Children’s Swing and Slide Activity Center is designed to give your little ones hours of play. Your child can practice shooting hoops, climbing or enjoy a relaxing swing! This activity center is perfect for parents with two or more young children to entertain. Kids can perfect motor skills, balance and have all out fun with this multi-station play center! Great for toddlers and youngsters alike, this durable play station is made of durable non-toxic plastic to ensure your children play safely. 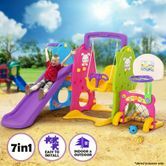 Keep your kids busy for hours when you order your Colorful 7-in-1 Playset with Swing & Slide today!